They call me the GO2GIRL. This came about by being the one that my clients call for all of their real estate needs. If I cant help them I point them in the direction of someone that can. This is a business based on trust. Every client that I have worked for has their own set of needs and an agenda for their life. I meet with my clients, discuss what they are wanting to accomplish and then set out a plan of action to accomplish their goals. This business is personal, and I take great pride in the fact that I am a trusted confident to help guide people into their next chapter. Service, communication and professionalism is paramount to my business. I have lived in the Bucks County area my entire life and now have the pleasure of raising my children here as well. My children attended the public schools here and have loved growing up in this wonderful active community of Lower Makefield. 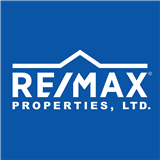 I have been in sales my entire career and enjoy working in this wonderful area that I call home. Bucks County PA is rich in culture, and close to NY and Phila as well making it a great hub. Whether you are a first time home buyer, relocating, investing or moving up or down, I work for you to meet your goals. I am a dedicated professional who will go the extra mile for my clients. I am licensed in Pa & NJ.I am your "Go2Girl"